Garry Hartman hoped tariffs would save the factory he runs in Berwick, Pennsylvania. Now he's not so sure. 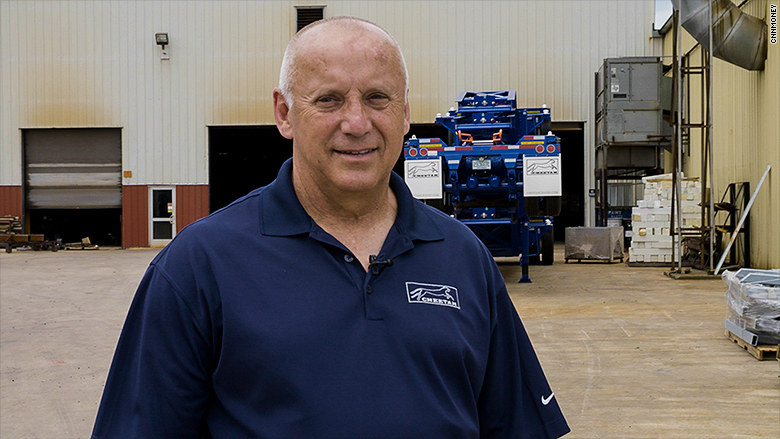 Hartman is the president of Cheetah Chassis, a 170-person company that for decades has made container chassis, the steel frames used to transport shipping containers across the country. At its peak in the 1990s, Cheetah had more than 500 workers and produced about 240 trailers a week. But over the past 10 years, Cheetah has steadily been pushed out of the US market by a Chinese state-backed company, which Hartman believes gets unfair support from Beijing. Now Cheetah only makes 60 chassis a week. "We're a break-even company, barely able to maintain our business and employment for our people," Hartman said. "All the while, Chinese market share has grown and grown." Hartman voted for Donald Trump in 2016. 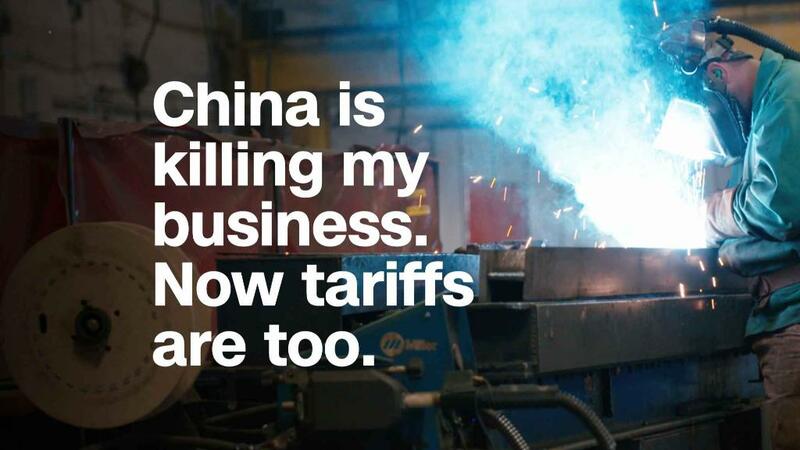 He did so hoping that as president, Trump would hit his Chinese competitor with tariffs to level the playing field. When the Trump administration announced earlier this spring that it would impose a 25% tariff on roughly 1,300 goods from China as punishment for intellectual property theft, Hartman was pleased — until he found out that container chassis hadn't made the government's initial list. The White House has said it will release the final list of Chinese goods that will subject to tariffs by Friday. Hartman is still fighting to have the United States enact a tariff on container chassis, which he says would rescue his business. But his struggle underscores a tough reality of Trump's trade policies: Tariffs can inevitably involve picking favorites, helping some US industries or companies while hurting and ignoring others that expected support. "I'm just hoping that President Trump doesn't forget about the small companies and the little guys that helped put him in office," Hartman said. "He'll have a hard time if he doesn't help us." Hartman, 62, started working at Cheetah in August 1974, the same day Richard Nixon resigned. "I got a job, and President Nixon lost his," Hartman told CNN. He was 18 years old, and had just graduated from high school. Garry Hartman, 62, is the president of Cheetah Chassis in Berwick, Pennsylvania. The factory he runs looks different from when he started working at the company in 1974. At the time, the industrial complex that housed Cheetah was buzzing with activity. About 3,000 people worked on factory floors across the premises, which also a housed a rail car maker and a company that built modular homes, Hartman said. Berwick, with a population of roughly 12,000, was home to a vibrant main street and Wise, a potato chip maker. These days, the Berwick factory looks different. Windows are boarded up. Fewer people work on Cheetah's two assembly lines, and there's only one shift. The potato chip maker is still around, but main street has fewer stores, and the population is closer to 10,000 people. For Hartman, it's not hard to pinpoint the moment everything changed for Cheetah. In the mid-2000s, Shenzhen-based equipment giant China International Marine Containers entered the US container chassis market through its purchase of Direct Chassis in Houston, Texas. Since 2012, the company has become a domestic powerhouse by producing high volumes of chassis, some of which are sold for less than chassis made by competitors, according to Lawrence Gross, president of Gross Transportation Consulting and an industry expert. CIMC presently controls 80% to 90% of the North American container chassis market, Gross said. CIMC makes most of its container chassis parts in China, but has a number of US locations that it uses for assembly, inspection and distribution. The company's US chassis division has facilities in California and Virginia, along with a nationwide dealer network. The company is publicly listed on the Hong Kong Stock Exchange. Its two largest shareholders are China Cosco Shipping and China Merchants Group, according to corporate filings. Both are state-owned companies, per their websites. CIMC itself is a huge conglomerate with a presence on multiple continents. It makes a wide variety of goods ranging from shipping and storage containers to oil rigs. Hartman said Cheetah has lost 100% of its large orders since CIMC came on the scene. It still produces specialty container chassis, but production is at a fraction of capacity. "We no longer get orders for 1,000 chassis or 2,000 chassis," Hartman said. "We had some domestic companies in the United States where we built [5,000] to 8,000 chassis for them a year. All that chassis business has gone to China." 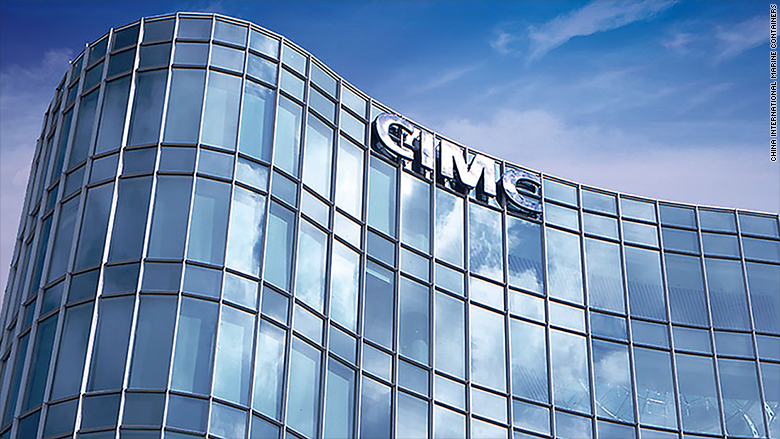 CIMC is a huge Chinese conglomerate with a presence on multiple continents. It makes a wide variety of goods, from shipping and storage containers to oil rigs. It dominates 80% to 90% of the North American container chassis business. Hartman said he isn't afraid of healthy competition. But CIMC, he argues, has the support of the Chinese government, which gives it a leg up — particularly because it can purchase subsidized steel. Frank Sonzala, the head of CIMC's US chassis division, told CNN that CIMC dominates because it offers a superior product and invests in state-of-the-art technology. If its prices are lower on certain items, that's because the company operates on a much larger scale, he said. "When you get volumes of business, you can be much more efficient," Sonzala said. He also pointed out that CIMC offers a 10-year warranty. Cheetah's warranty lasts five years. He denied that CIMC buys steel at lower prices due to the company's Chinese government ties. Relations between the two companies became particularly heated in January 2017, when a Cheetah customer in Texas received a PowerPoint from someone claiming to work for CIMC. The CIMC advertising presentation contained pictures of Cheetah products, including a 33-foot Bridgemaster with the Cheetah logo visible on the mudflaps. The implication was that these products were in fact made by CIMC. "Get a load of this," the Cheetah customer wrote in an email to the head of sales at The Strick Group, Cheetah's parent company. According to Sonzala, the presentation was created by a marketing class at a Chinese university, and wasn't authorized by CIMC. "We were surprised as anything," Sonzala said. "We made sure that was taken care of from the Chinese side, and that was it." To Hartman, it just added insult to injury. CIMC was already nabbing a great deal of Cheetah's business. Now the company appeared to be trying to poach Cheetah's customers with materials that passed off Cheetah products as their own. When Hartman saw that container chassis from China wouldn't be subject to new tariffs, per the first list released by the Trump administration, he thought carefully about the company's options. There didn't seem to be many. A tariff on CIMC's products would undoubtedly breathe life into his company, which has also had to contend with rising steel costs. Steel prices have jumped nearly 40% this year, according to S&P Global Platts, and have climbed more than 14% since Trump announced steep tariffs on steel and aluminum at the beginning of March. After consulting with company leadership, Hartman decided that Cheetah would spend the money — an estimated $20,000 to $30,000 — to retain an attorney and lobby the Office of the US Trade Representative. The draft list, after all, had targeted Chinese exports ranging from artificial teeth to flamethrowers. Why shouldn't container chassis make the final list? 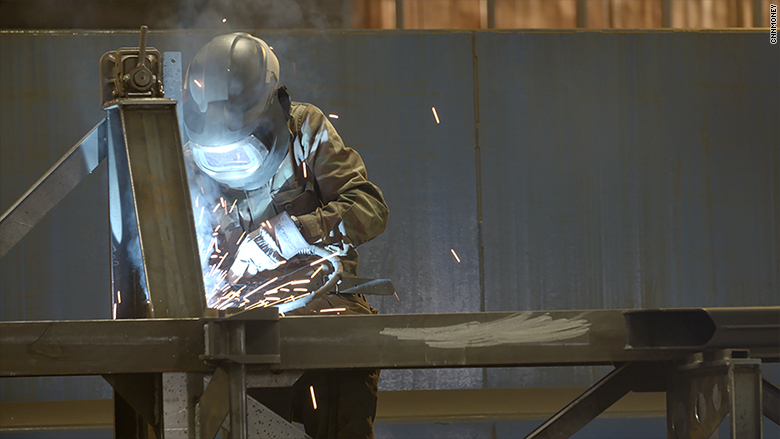 A Cheetah Chassis employee works in the company's Pennsylvania factory. The manufacturer currently has about 170 employees, down from 500 at its peak in the 1990s. In a letter to the Trade Representative Robert Lighthizer, Cheetah's lawyer claims that CIMC gained its US foothold by copying the product designs of US manufacturers, and then proceeded to push American competitors out of the market with "unfairly low prices." Cheetah points to the pictures of Cheetah chassis in CIMC-branded promotional materials as evidence of the company's disregard for intellectual property. The argument: If the US government's goal is to punish China for intellectual property theft, they need look no further than container chassis. "Cheetah Chassis has already been forced into a small portion of the market," the letter said. "If CIMC's unfair practices are left unchecked, it is likely that CIMC will quickly take over the entire US market for container chassis, effectively creating a virtual monopoly of the domestic chassis market controlled by Chinese [state-owned enterprises]." The letter added that "the very free flow of commerce within the United States is at risk." CIMC, in a response addressed to Lighthizer, aggressively pushed back. The company said that Cheetah's claims of intellectual property theft were "unsubstantiated," and that it had not been subject to any patent infringement claims or lawsuits. The company also said that US chassis producers "cannot alone meet US demand for chassis," and that CIMC has invested over $100 million in six facilities across the United States, including in "economically depressed" areas like Emporia, Virginia. The week of May 13, Hartman traveled to Washington, where he put on a suit and tie and made his case to a USTR panel that was hearing various objections from businesses. He was joined by a representative for the Tile Council of North America, and a company that makes gun safes, which also wanted the USTR to put tariffs on competing products from China. It's not clear how likely it is that container chassis will be added to the final list that the White House intends to issue this week. Some American firms are rooting against the addendum. Trucking company J.B. Hunt and rail company Norfolk Southern wrote their own letters to the USTR as customers of CIMC. They claimed that tariffs on container chassis would disrupt their businesses and the transportation of goods across the United States, which would ultimately hurt US consumers. Hartman believes it's a long shot, but he's holding out hope. After all, Trump won the White House in no small part by promising to protect American manufacturers from unfair foreign competition, he said. And if the Trump administration doesn't pull through? Well, Hartman isn't sure what will come next. "It's going to be very difficult to continue to remain in business over the long haul," he said.